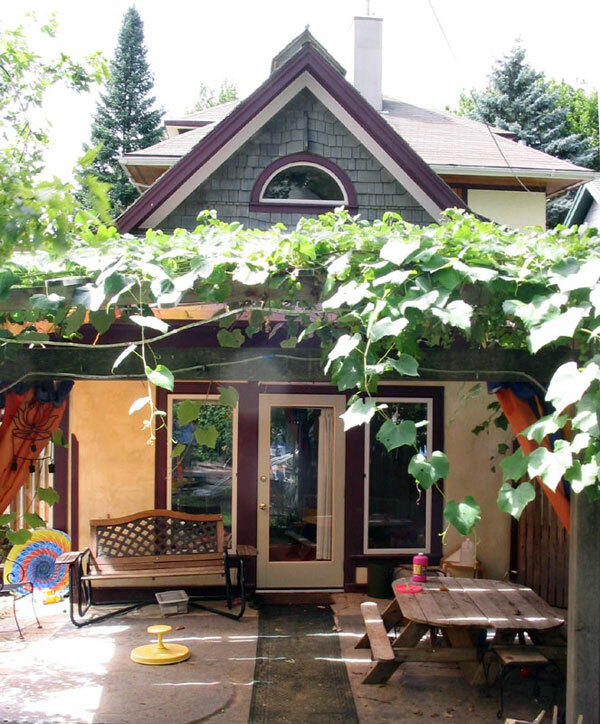 This ecological and non-toxic addition to a 90+ year old urban house for Bridges Family Child Care has a passive solar sunspace and a patio arbor. This project integrates 'pattern language' design concepts with natural building techniques and materials. Some of the special features: heavy timber structure, hot-water heated adobe floors, extensive use of recycled materials and earth plaster walls. 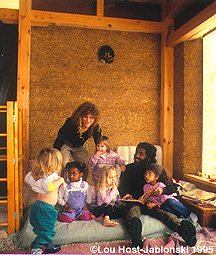 This project was built in part as a series of hands-on workshops presented by Design Coalition in the early 1990s, in collaboration with the Natural House Building Center to research and teach natural, low-pollution building techniques. The addition is the first formed light-clay structure to be completed in Wisconsin and, to our knowledge, the first urban example in the U.S.